Helou construction is contracted shower enclosures, interior glass partitions, all-glass doors on this $2.5-billion redevelopment of the Century Plaza hotel. Developer Woodbridge Capital Partners is underway on construction of the twin residential towers that will rise at the back of the property. The pair of 46-story buildings, designed by Pei Cobb Freed & Partners, are designed in the form of Reuleaux triangles, echoing Minoru Yamsaaki’s Century Plaza Towers across the street. 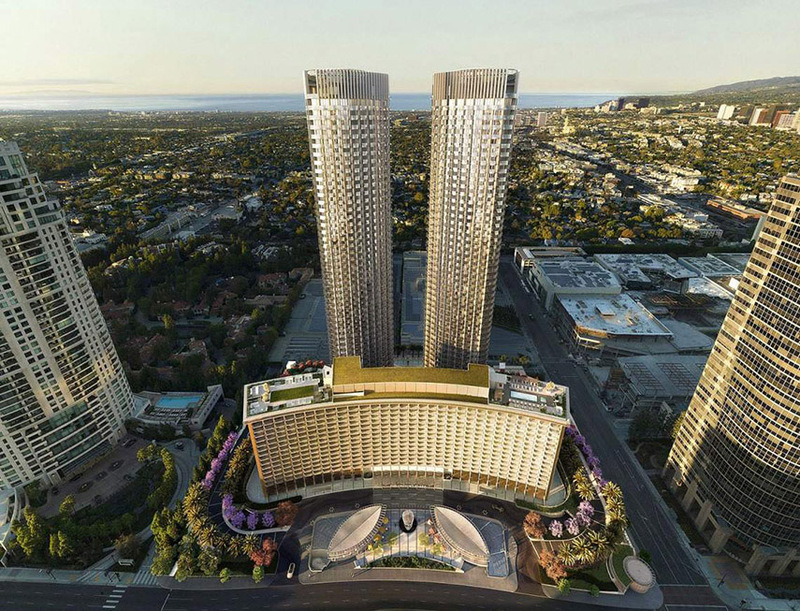 A toal of 300 condominiums and a variety of amenity spaces are planned through the towers.